For those looking for Vigo Port parking, we provide an alternative secure parking option close to the Port of Vigo. Reservations can be made easily online without any hassle. The car parks listed on our website are low-cost and close to the port. You can click on the corresponding link above to see a more detailed description of each car park and the services it offers. When you book your Vigo Port parking with ParkVia, you will save time and guarantee your parking space. Moreover, you can also benefit from free transfers or Meet and Greet service, whichever is more convenient for you. So book your Vigo Port parking now to take advantage of this service provided just for you. Vigo port is the biggest fishing port in the world and is one of the busiest in transportation. 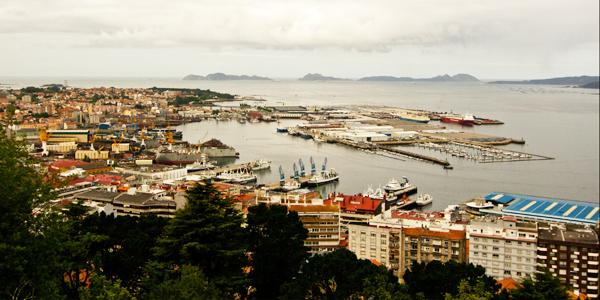 Located in the north-west corner of the Iberian Peninsula nestled between the Atlantic Ocean and the city of Vigo, the Port of Vigo is considered to be one of the principal European ports for commercial traffic. Vigo is the base for the big fishing companies which have prominent presence in several countries. The cruise terminal is located at the Puerto De Transatlanticos, from where you have everything within walking distance.